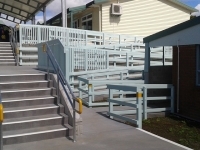 The project was to build a series of complicated ramps, steps and platforms to cater for children with disabilities at the school. 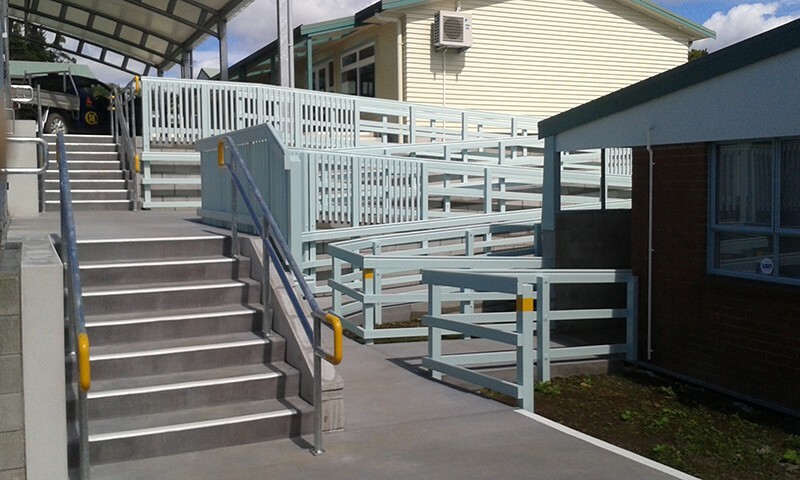 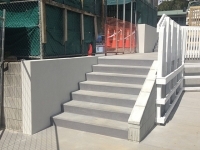 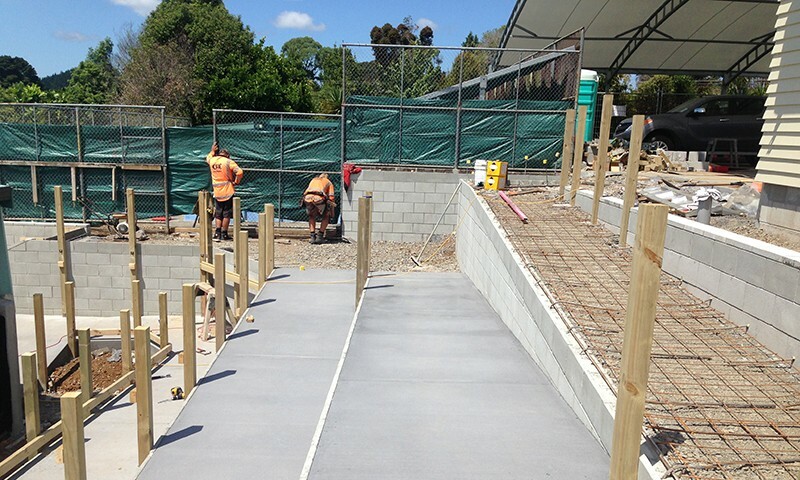 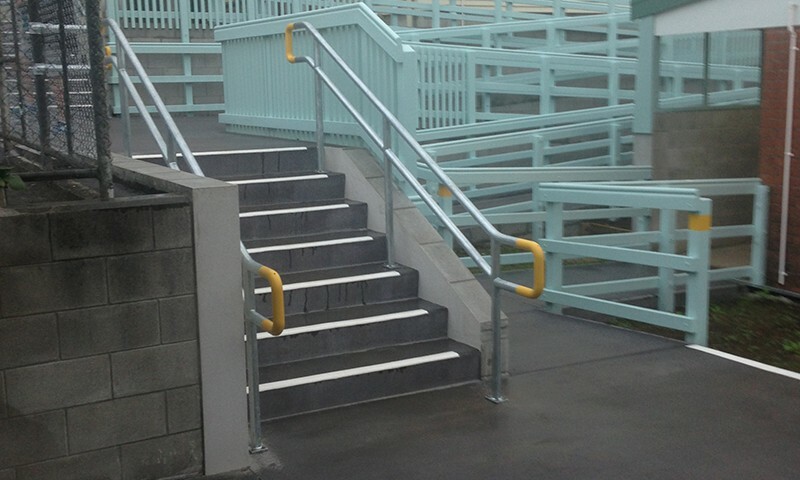 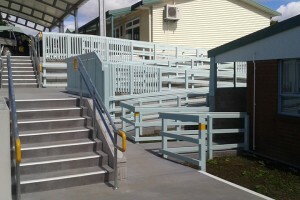 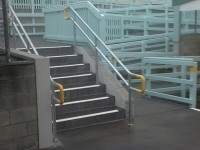 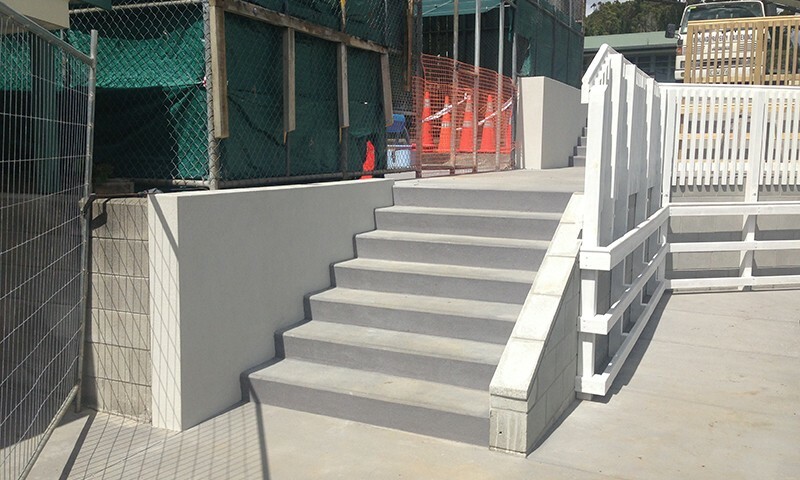 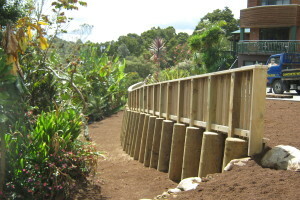 The works carried out included demolition of existing pavement and stairs, bulk earthworks to new grades, drainage, foundations, block walls, ramps, steps, platforms, timber handrails, steel handrails, concrete pavement and supply and installation of specialist disability equipment such as a pool hoist. 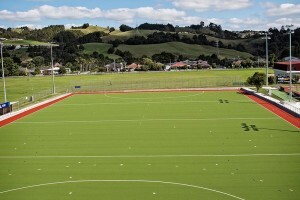 “To their credit, the staff of Steve Bowling Contracting worked with the MOE/School (and specific student’s needs), the design team and us as project managers to deliver a project we are all immensely proud of. 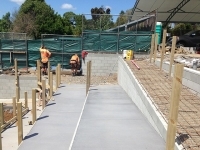 The team at Steve Bowling Contracting are to be congratulated for completing this project to the agreed programme and budget.